Traditionally, the oil and gas sector has been slower than other industries to adopt new software and technology. When the market is doing well, companies have little time or motivation to invest in change. When the market is bad, companies lack the appropriate resources and budget. Since 2015, the oil and gas sector has experienced significant changes. An aging workforce, low oil market price, and the pressure to transition to cleaner energy are among the many factors forcing the Exploration and Production industry to rethink how it works, recruits, trains, and operates in order to stay in business. As a result of the many factors at play in today’s market, the pressure to increase or restore profitability and expand operations is unavoidable. Many companies are choosing to proactively adopt and integrate new technology to help them respond to this pressure to evolve. The term “digital transformation” is widely used to describe the integration of technology into all areas of a business, effectively digitizing operations to provide better access to data and decision-leveraging systems in the cloud. 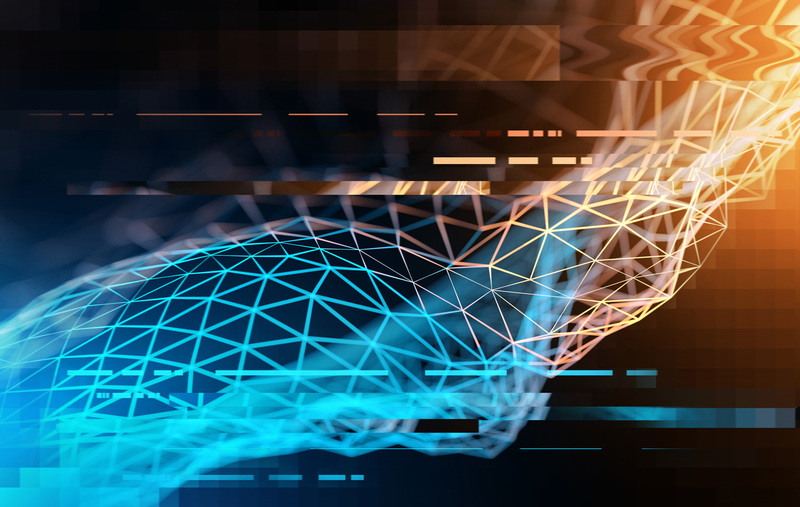 As part of the digital transformation process, data science and machine learning can be smart ways for companies to focus more on analysis and to automate operations that can be expensive and tedious to perform manually. Unfortunately, the focus of selecting and/or developing a digital platform is often on the data science aspect, leaving user interaction and visualization as an afterthought, often overlooked until late in the development lifecycle. Looking at some of the key functions and workflows in E&P from a high level, it is clear that many of the use cases and workflows share common data views and data sources and would benefit from a platform that integrates them all. Majors and IOCs should consider these shared use cases when designing or choosing the user experience of their digital platform as they require a visualization platform technology that is modular enough to tailor the user experience and workflows specific to each stage of the lifecycle (see Fig.1). Fig.1 – Key areas where cross-domain visualization technology is needed to consume data and make decisions. A product owner, architect, or chief engineer/developer who wants to build or implement a digital solution must assemble and assess various pieces of the puzzle: machine learning engine, database, cloud infrastructure, data search, search, workflows, etc. In order to avoid reinventing the wheel, many companies choose a cloud-friendly enterprise viewer platform that can be used out of the box. However, there are many factors to consider when evaluating an enterprise cloud viewer. To avoid adoption failure, an Enterprise Cloud Viewer must offer a consistent and unified user experience across workflows through a single interface that can be adapted as needed, depending on the workflow and the user profile. Ideally, a solution built using a user-centered design approach will provide contextual experience for both remote and on-site experience. Considerations for choosing an E&P enterprise cloud viewer. The visualization framework should offer specific domain views: WellLog, Schematics, BHA (animated or not), Seismic, and 4D/3D/2D in web-based local and/or remote visualization service. It should also have the ability to display very large datasets with high performance, seamlessly leveraging compression/decompression and decimation algorithms. G&G/Seismic — Support standard file formats in E&P, such as SEG-D, SEG-Y, DLIS, and LAS in 2D/3D and custom formats used in specific workflows. Offset wells display for correlation with the active well. WellLog – providing display of curves and sensor data. To ensure user adoption, the user interface must be intuitive. It should enable the exploration of data via the manipulation of chart images, with the color, brightness, size, shape, and motion of visual objects representing aspects of the dataset being analyzed. The tool should enable users to analyze the data by interacting directly with a visual representation of it. Versatile User Interface/User Experience (UI/UX) with user-configurable preferences and collaborative functions. An intuitive UI/UX requiring minimal training of internal/external customers. Users should be able to easily access advanced analytics capabilities contained within the platform or through the import and integration of externally developed models. The tool should allow users to create highly interactive dashboards and content with visual exploration and be able to conduct search-based discovery. Users need to be able to publish, deploy, and operationalize visualizations. To collaborate more efficiently, users need the ability to share, discuss, and track information, analysis, analytic content, and decisions (embedded dashboard link, PDF printing, chat, and annotations). Modular architecture using microservices should integrate seamlessly with customer or third-party data science or workflow. Wherever possible, the system should be constructed from distributed redundant components transparent to end users. Modularization of the system that should be composed of multiple services with transparent or industry-standard interfaces or services such as WITSML. Developers should be able to develop their own components that simply plug into the existing viewer infrastructure. The messaging system should be open. There should be an API to subscribe and publish to messages inside the service infrastructure. The SDK should be able to provide developers with the ability to simply develop and build new display widgets or extend existing ones. The capabilities are offered in a single, seamless product or across multiple products. Data latency — the data should be delivered in near-real-time from the source of where the data is acquired by the system to the end-user display. Capabilities that enable platform security, administering users, auditing platform access and utilization, optimizing performance and ensuring high availability and disaster recovery. While these may not be all of the features to consider, these should provide a solid foundation for any company that wants to evaluate an enterprise cloud viewer for the E&P industry.